A great value Cabernet from one of the most talented winemakers Chile has ever seen. Aurelio Montes has engineered some very spectacular wines right across the price spectrum. This Cabernet Sauvignon is another fine effort at a great price point. The nose is opulent and rich with aromas of blackberry, dark cherry and some leafy aromas. The palate is medium weighted with good fruit intensity and some spicy pepper notes. Dry and slightly rustic tannins with good acidity and a pleasantly long finish. 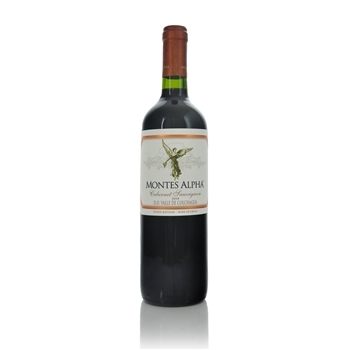 The 2011 Alpha Cabernet Sauvignon is quite showy and aromatic with unusual notes of flowers and a remarkable absence of pyrazines and green aromas. The fruit is black rather than red and the spices are also dark, while the medium-bodied palate shows seriousness but the slightly drying tannins and the moderate acidity detract from its pleasure. All in all, it’s a good Cabernet.